When it comes to care homes, it's not just the residents' feet you have to think about. Round the clock staff shifts and the constant flow of visitors mean entrance areas can take quite a pounding, and wet and dirty soiling can be trailed into the reception area and beyond. Not only can this damage interior floor coverings, it also creates unnecessary health and safety hazards. Our Coral and Step ranges can help keep cleaning and maintenance costs down while reducing the risk of slips and trips. By keeping 94% of dirt and moisture at the entrance using Coral, cleaning costs can be cut significantly, interior floors protected and the potential for slipping greatly reduced. All our Coral ranges comply with the highest fire rating for a textile product, Bfl-s1 which can be important as many entrances have a dual function as emergency exits. 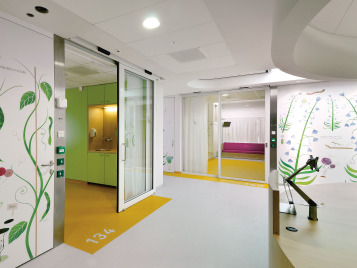 Step safety flooring can be used in the entrance hallways to further reduce the risk of slip hazards. Our Surestep collection offers safety flooring in wood and stone effects to ensure a homely and welcoming impression is made at the entrance of your building. Our Step Crystals give the vinyl guaranteed lifetime slip resistance and contribute to the clean, fresh designs and easier cleaning. Nuway is designed for entrances where very high levels of pedestrian and wheeled traffic are experienced. 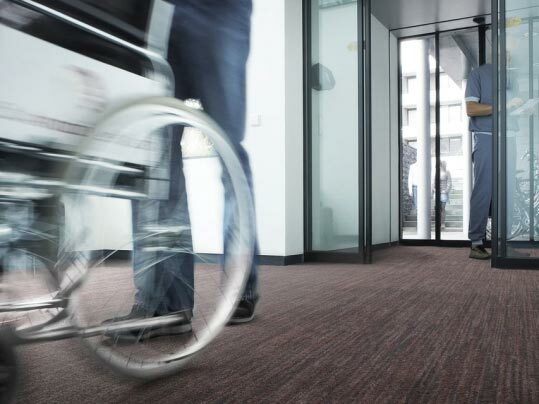 Sarlon acoustic vinyl can be used in busy entrance hallways where noise from the foot traffic may affect residents. Surestep Wood Decibel is perfect for entrance areas that need slip resistance and acoustic properties. 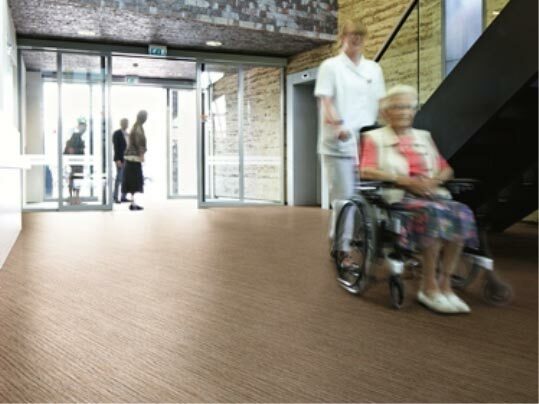 For entrances that require a textile floor covering Flotex is extremely hard wearing and durable.